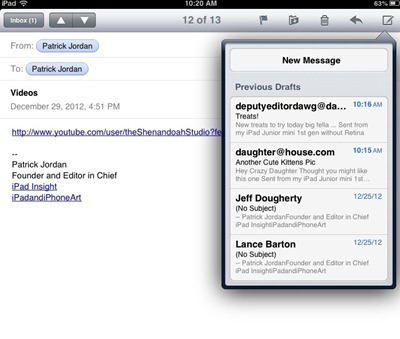 Tap and hold on the Compose button at the top right of the Mail screen. Below the New Message button you’ll see a listing of your previously saved drafts, with the most recent one shown first. 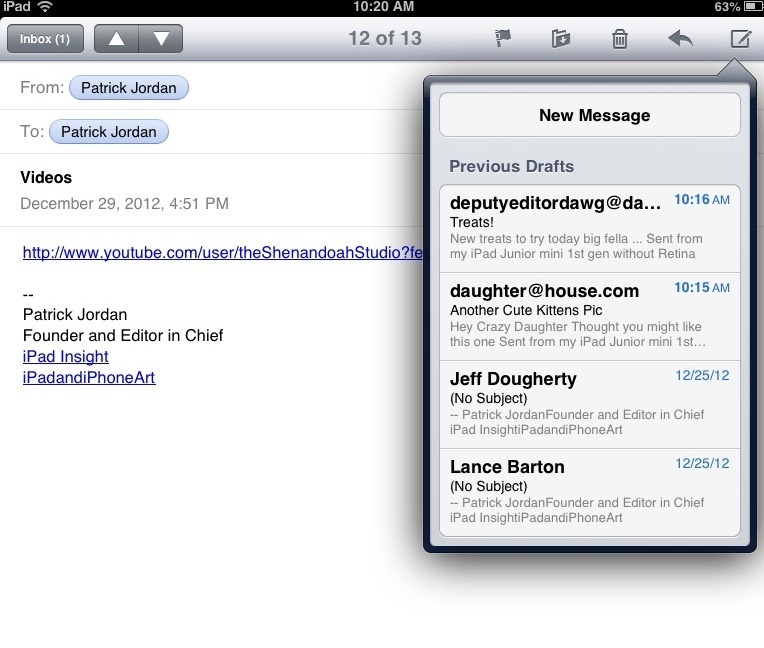 This is much easier than navigating to the Drafts mailbox in the Mail app. Hat tip to Jesse Hollington at iLounge for sharing this handy tip.